We provide fast apostille services for residents and businesses in Los Angeles and the surrounding areas. Our service saves you time and money as we process your paperwork directly with the California Secretary of State. You can also mail your document to us at our office located in Downtown Los Angeles on 5511 Corteen Pl. This is strictly a mail-in service, no walk-ins available. We are official approved Service Providers of the California Secretary of State and listed on their database. Processing times for apostille services can be same day but are usually done within two days. We always accommodate to emergency deadlines. We can meet you at your location in the Los Angeles area to pick up your documents and get it delivered. Please note, documents can be sent to our office and sent back to you once completed. Please call or text for more details and shipping fees to your location. 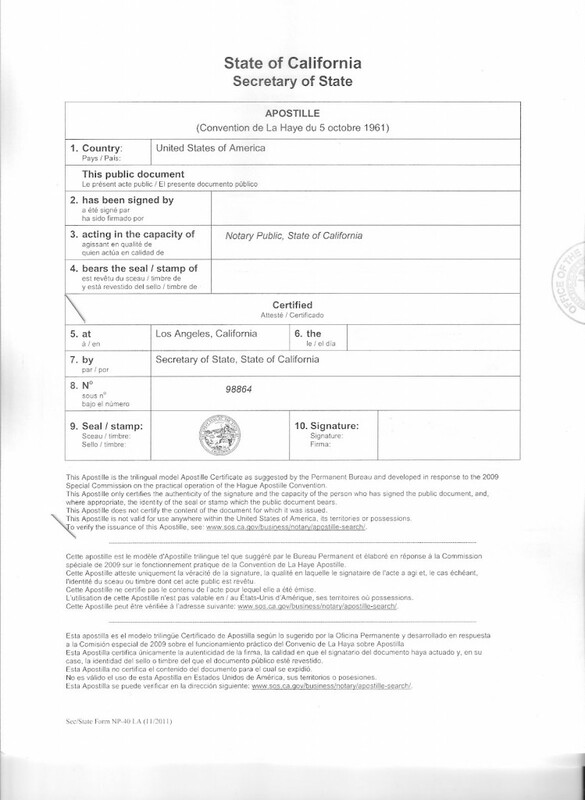 • Birth/Death Certificates • Marriage/Divorce Certificates • Powers of Attorneys • School Diplomas and transcripts • Copy Certifications for Passports and IDs • Business Contracts or Agreements • Articles of Incorporation, Bylaws and Bills of Sale • Criminal Record History • Adoption Papers, Patents, Trademarks, Certificates • Much more..
We will always provide translations. We excel in English to Spanish translation by a certified official translator. The countries listed below are all members of the Hague Convention and recognize Apostilles. The Apostille certificate will be legally recognized and no further embassy certification should be needed. If the country is not listed please check with the entity you intend to accept the Apostille. 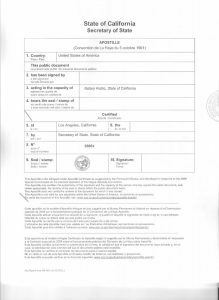 For more information regarding apostilles, authentications and legalization needs, please contact My Mobile Notary LA.